The work of landscapers and arborists is not as interchangeable as it may at first seem. Each role requires a unique skillset, experience and equipment. Lumping this work together appears to be faster and easier when in reality it’s anything but. Entrust a job to someone that is not equipped or trained to handle tree work and the end result will likely be property damage and safety hazards. The skillset should match the scope of the work required. When the work in a landscape includes trees, that work should include an arborist. Arborists specialize in maintaining tree health and can properly assess the condition of trees to help ensure longevity at an affordable cost. A professional arborist will identify hazardous tree conditions, be trained to safely manage a job site and adhere to established industry standards. 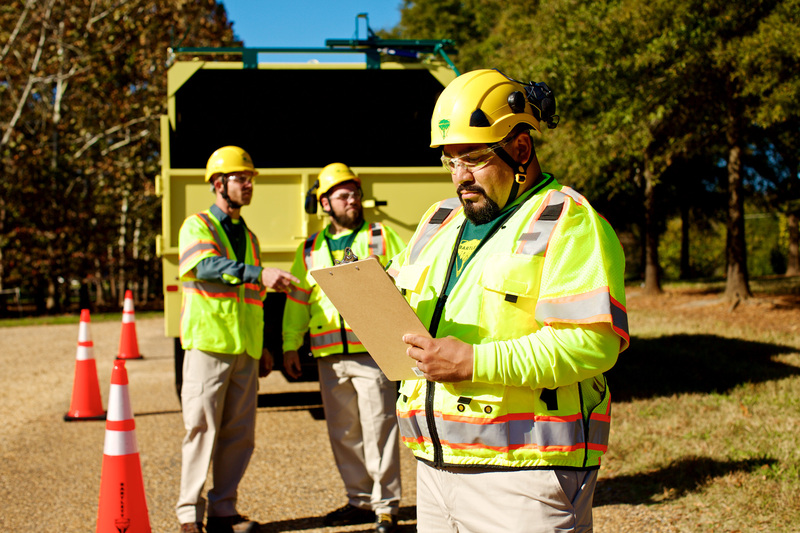 That means crews on your property have experience handling chippers and chainsaws, climbers safely access tree canopies and technicians properly identify pest problems. Just imagine the potential consequences of this work being undertaken by unqualified individuals! Too often, tree care is relegated to the last line item in a landscape maintenance budget. This simply does not make sense since trees are the most visible and valuable assets in a landscape. When an arborist is involved, property managers have a better understanding of what their trees need. This leads to better decision making and improved budget management. Though they are not interchangeable, arborists and landscapers can work together and should not be at odds with each other. There are many areas where they can collaborate to help improve your property. For example, when a landscaper is installing new plants, an arborist can provide practical information on tree selection and planting as well as guidance on getting young trees through the critical first years. When thinking about the needs of your property remember that your landscape will receive the best care when all the professionals involved recognize the value of each element of that landscape – from the turf to the treetops.